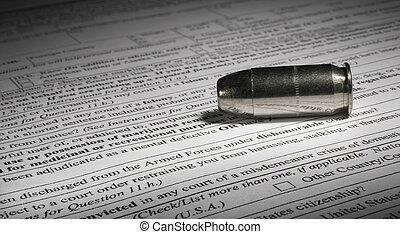 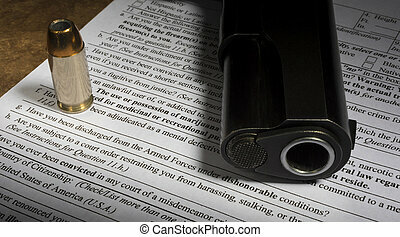 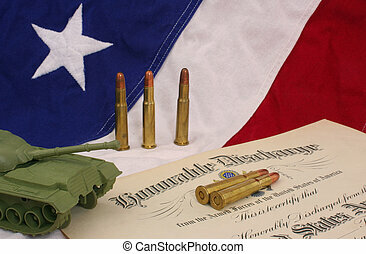 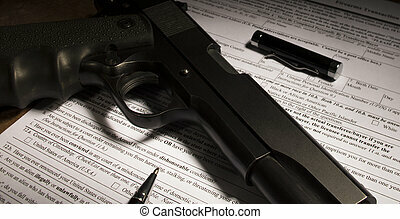 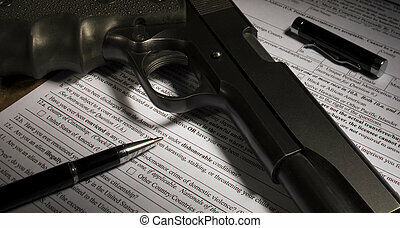 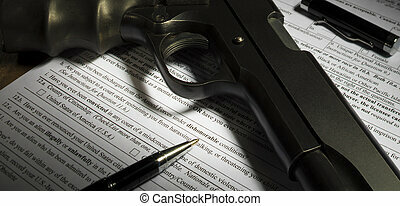 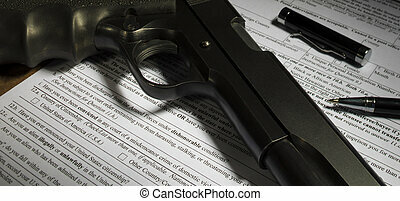 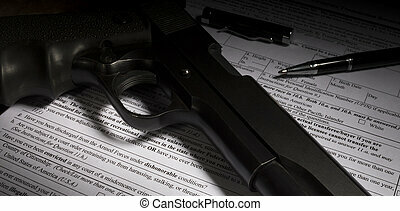 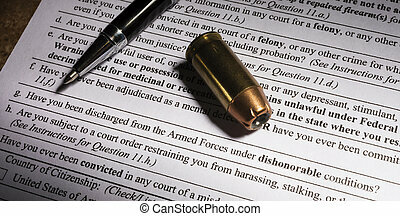 Honorable discharge. 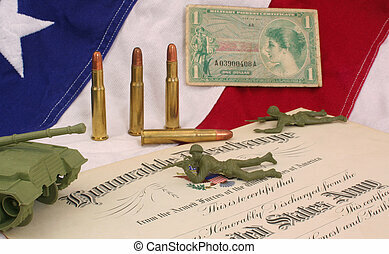 Military dog tags and discharge certificate on flag. 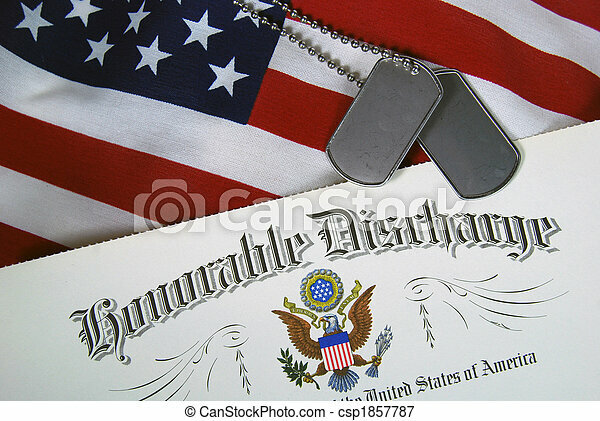 Military dog tags and discharge certificate on flag. 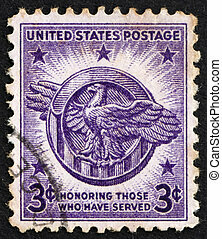 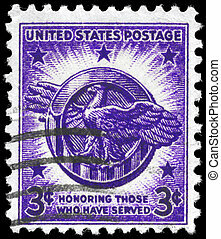 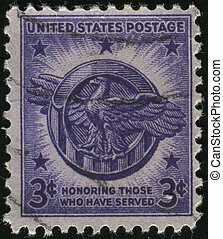 UNITED STATES - CIRCA 1945: stamp printed by United states, shows Honorable Discharge Emblem, circa 1945.